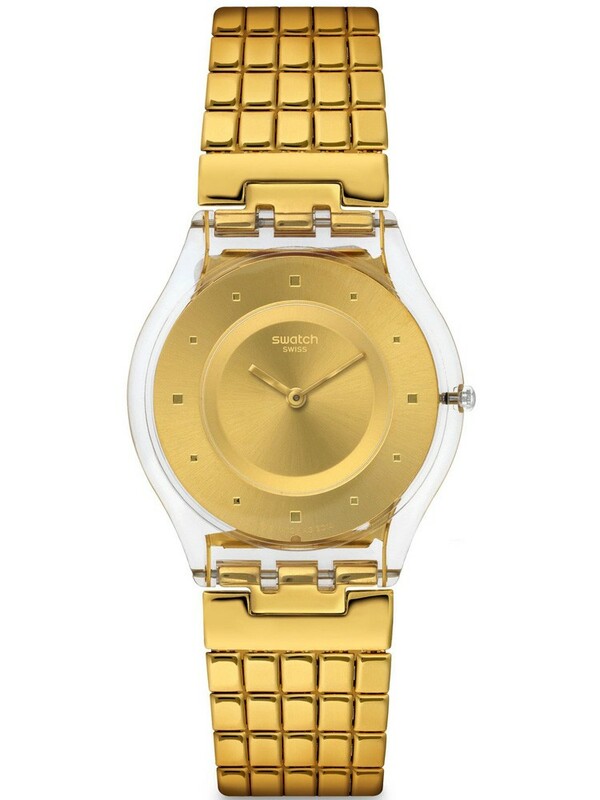 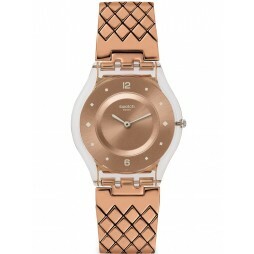 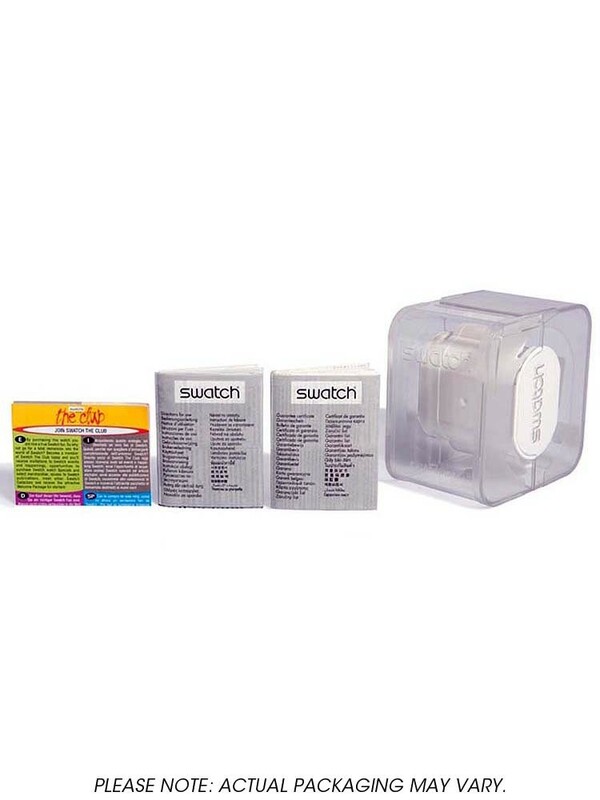 Introducing the ladies Golden Lips watch from Swatch. 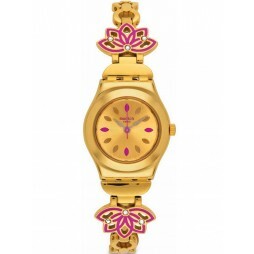 The glamorous wristwatch consists of a transparent case which houses a gold plastic dial. 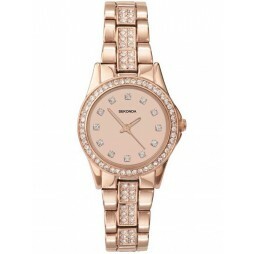 It uses delicate thin gold hands and matching square decals as hour markers to tell the time. 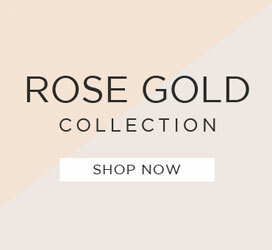 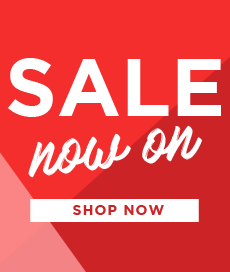 The case connects to a elegant square styled metal bracelet which fastens securely using a fold over clasp.